So far 2011 has been a busy year, film-wise, for me. After having just finished up on Coast, I’m delighted to be heading back on to the stage, to take on the role of ‘Curley’ in Nobel Prize-winning author John Steinbeck’s classic, Of Mice and Men. The run, which includes a UK tour, is being directed by the experienced former National Theatre director Alan Cohen. 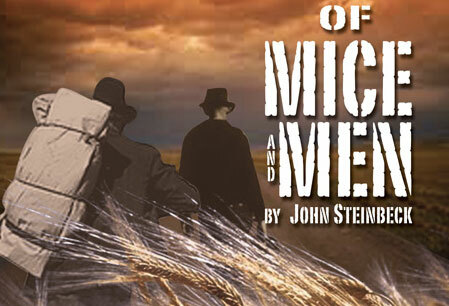 Steinbeck’s hugely popular and compelling story has been performed on the stage a number of times and I am delighted to be taking on a role in this production. The tour includes dates in Theatre Severn, Shrewsbury, Buxton Opera House, The Harlow Playhouse and the Forum Studio Theatre, Chester. The production will also travel to Northern Ireland, with dates in the Theatre at the Mill, Newtownabbey, Riverside Theatre, Coleraine, Waterside Theatre, Derry, Down Arts Centre and Ardhowen Theatre. Please check local listings for further details. PS. If that wasn’t enough I’ll be popping back to Northern Ireland to film a role in Good Vibrations, the story of Terri Hooley, the ‘Godfather of Belfast’s punk scene’. There’s no rest for the wicked!